Cambrian Park San Jose is a desirable neighborhood, also known as Cambrian. It is a family-oriented community with quiet tree-lined streets and suburban charm. Cambrian borders Blossom Valley, Almaden Valley and Willow Glen in San Jose as well as the City of Campbell and Town of Los Gatos. Cambrian, also known as Cambrian Park, consists of 95118 and 95124 zip code. Most of the Cambrian area is served by the Union and Cambrian Elementary and Middle School Districts which have earned the California Distinguished Schools designation. Cambrian is a great place to live and play in San Jose, California. The once vast Santa Clara Valley orchard lands were nicknamed the Valley of Heart’s Delight. Very few sections of orchard land remain in what is now known as Silicon Valley. The Valley’s orchards slowly disappeared and homes emerged in Cambrian Park and throughout Silicon Valley. Cambrian has easy access to all that San Jose and Silicon Valley have to offer. Cambrian is close to many City and County parks and lakes which provide unlimited outdoor recreational activities. Princeton Plaza Shopping Center is at the corner of Blossom Hill Road, Meridian Avenue and Kooser Road. There are a number of stores and restaurants within Princeton Plaza. 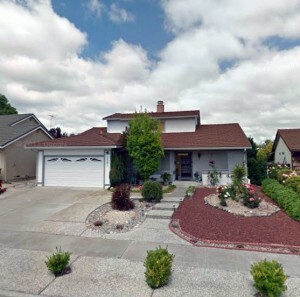 Cambrian is close to the Valley Fair Mall in West San Jose and Westfield Oakridge Mall in neighboring Blossom Valley. Cambrian residents and residents from surrounding Cambrian and San Jose communities enjoy the local Cambrian Park Farmer’s Market. The market is open from May to September on Wednesdays from 4:00 pm to 8:00 pm. This refreshing outdoor event is located at the Cambrian Park Plaza at the corner of Camden Avenue and Union Avenue in San Jose and is in the 95124 zip code. Starting browsing with our gallery above or take the next step and set up a search for homes that match your criteria. Start with our Cambrian Homes links below and then modify any list to suit your lifestyle. Whether the Cambrian Park real estate market is hot or cool, marketing homes is about more than just adding a listing to our San Jose MLS. A full marketing plan should be discussed and include additional exposure. With over 90% of buyers starting their home search on the internet, this is the area of focus for my marketing. The more eyes on your home, the faster we sell your home. We’ll discuss presentation, pricing, and all the positive aspects of your home in our marketing pieces. If you need to sell your Cambrian home, call Kathleen Daniels at 1-408-972-1822. The home selling process starts with a conversation. If you “click” with Kathleen then hiring her to list your home may be the right thing to do.